next to Border, and then select the style that you want in the Border list. 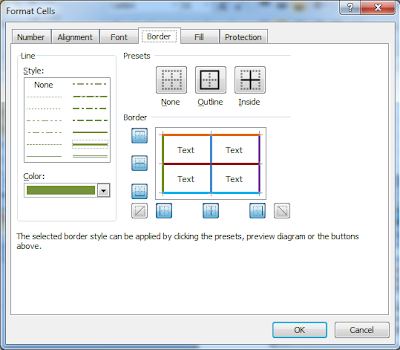 Select an option under Style to specify the line size and style for a border. If you want to change a line style on a border that already exists, select the line style option that you want, and then click the area of the border in the Border model where you want the new line style to appear. 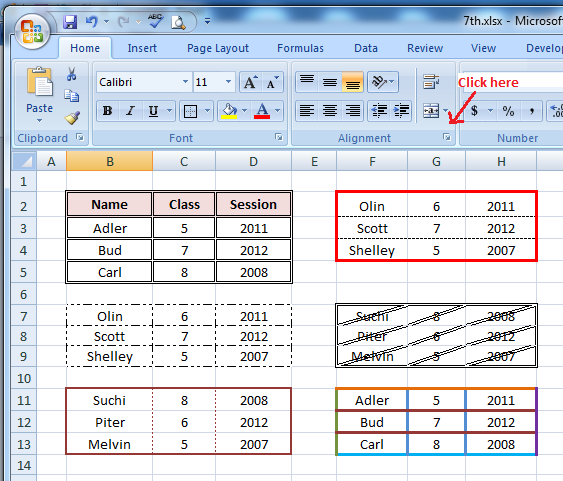 Select a predefined border option to apply borders to or remove borders from selected cells. 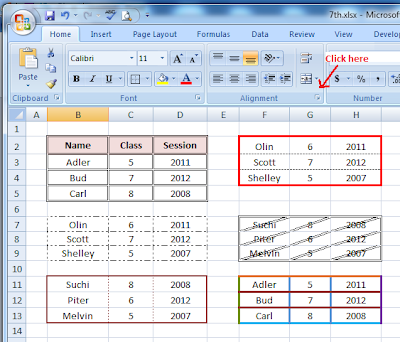 Select a color from the list to change the color of the selected cells. 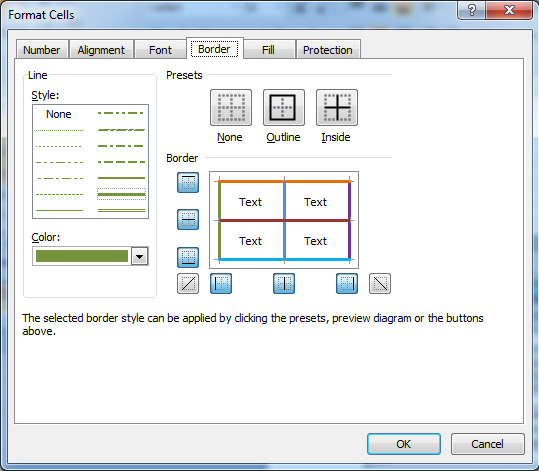 Click a line style in the Style box, and then click the buttons under Presets or Border to apply borders to the selected cells. To remove all borders, click the None button. You can also click areas in the text box to add or remove borders.